The Tripura government on Tuesday has directed the state director general of police to investigate into the assault on two journalists, reporting on narcotic smuggling, in the past two days. The order came in the wake of allegations that members of a paramilitary force were involved in one incident according to reports. Tripura Journalists Union, the largest union of working journalists in the State, has sought the government’s intervention in the matter. Notably, Asish Chakraborty, reporting for popular vernacular daily Dainik Sambad, was assaulted and intimidated in Khowai, while Sadek Mia, a freelancer working for an electronic channel, was attacked after being kidnapped from a border location in Sonamura. The Tripura Working Journalists Association, in a written statement, claimed that Sadek Mia was targeted by a section of Assam Rifles, Border Security Force and police involved in a drugs racket. None of the three forces has responded to the charge yet. Senior police officers said they were in the process of identifying the ‘persons in security uniforms’ at the spot. Meanwhile, state’s health minister Sudip Roy Barman also condemned the incident. “I will speak to the DGP. We will not tolerate this kind of law and order violation,” he said after inaugurating a voluntary blood donation camp organised by Asha Nursing Home here. 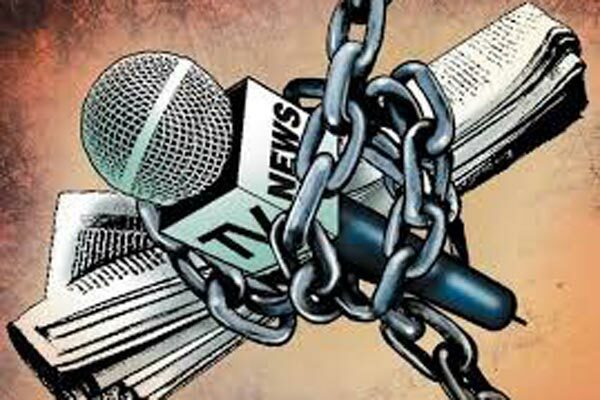 Notably, Tripura has witnessed numerous cases of attack and intimidation of journalists. Last year, Santanu Bhowmik was killed while covering political tension at Mandwai, 25 km east of Agartala, while Sudip Datta Bhowmik was shot down at the headquarters of 2nd battalion of Tripura State Rifles near Agartala.